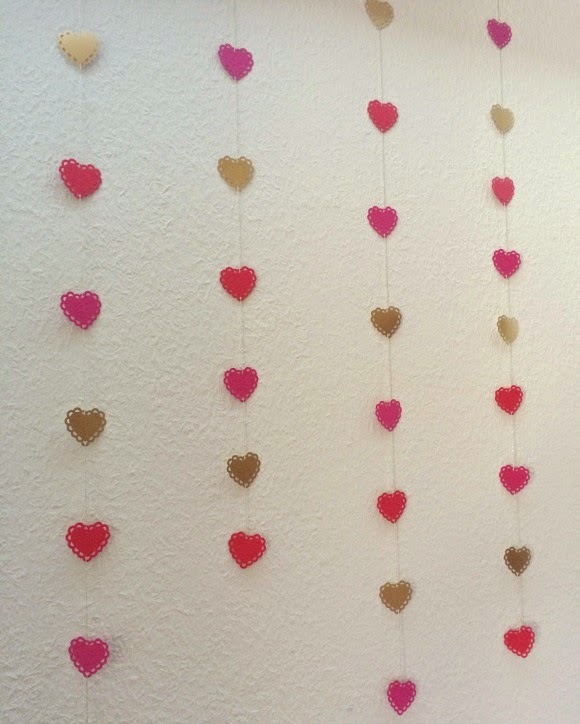 As I was preparing for a Valentine's Day party styling, I thought of putting together the DIY of my backdrop so that you can try it out at home too. 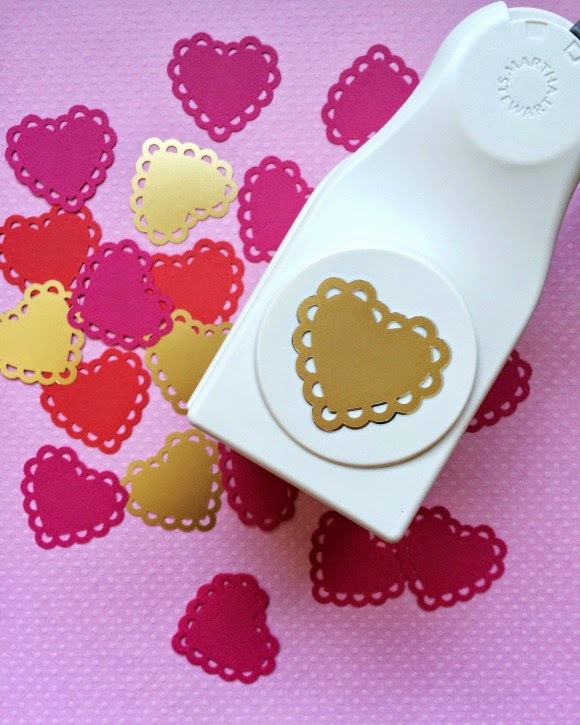 It's a simple one, as long as you own a very handy Martha Stewart craft puncher to make the hearts. 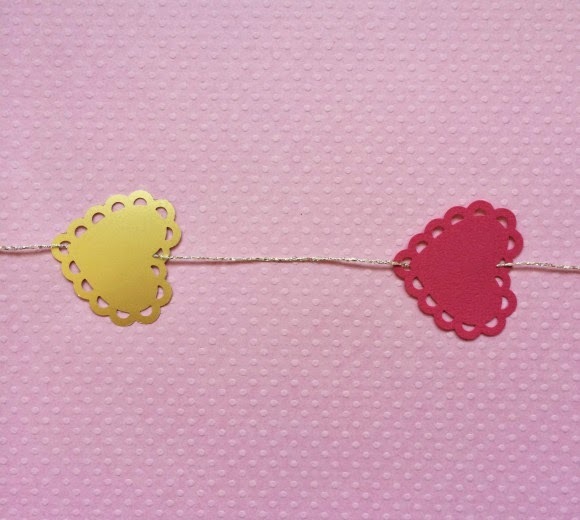 You can choose to make one or several garlands depending on the use you want to make of it. Why should you get one you ask? 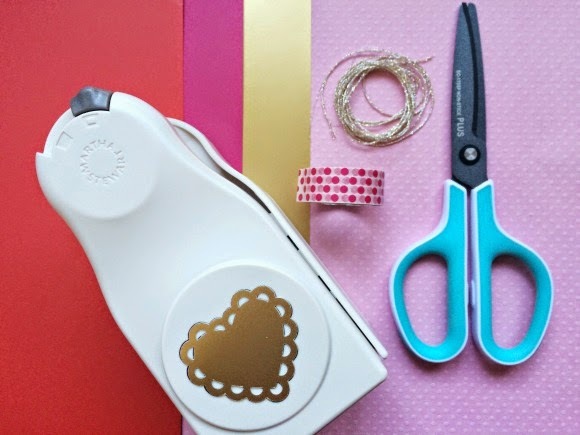 Well, it will make your life so much easier when it comes to paper crafts: to create garlands, place cards, enhance your cards and letters, do some scrapbooking along the way and so much more! Once you get hooked on craft punchers you won't look back, and will most probably start your own collection - I have 14 pieces as of now. 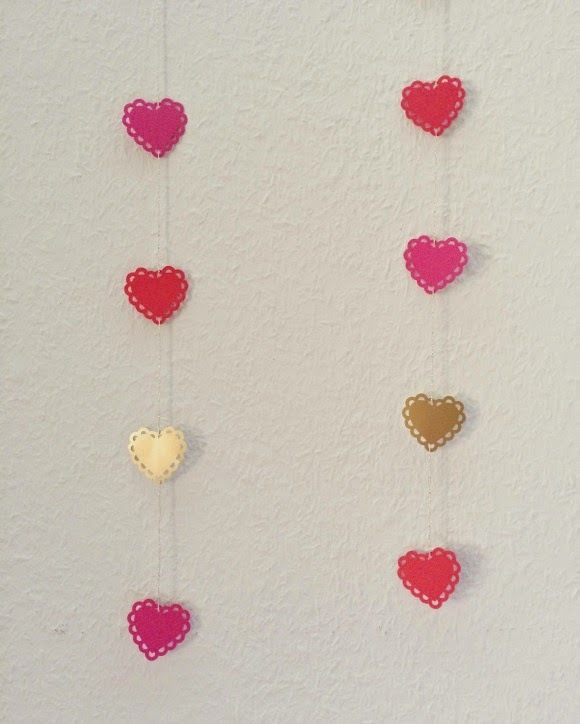 Fix the heart that will be at the bottom of the garland (if hung vertically) with a tiny stripe of masking tape. 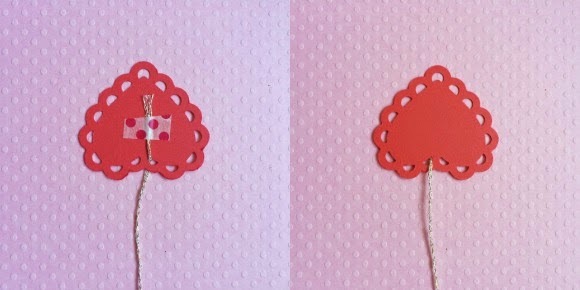 Fix the next heart at about 10cm from the first one; the space between each heart can be changed of course, depending on the effect you want to give. #4 Hang up your garland(s)! 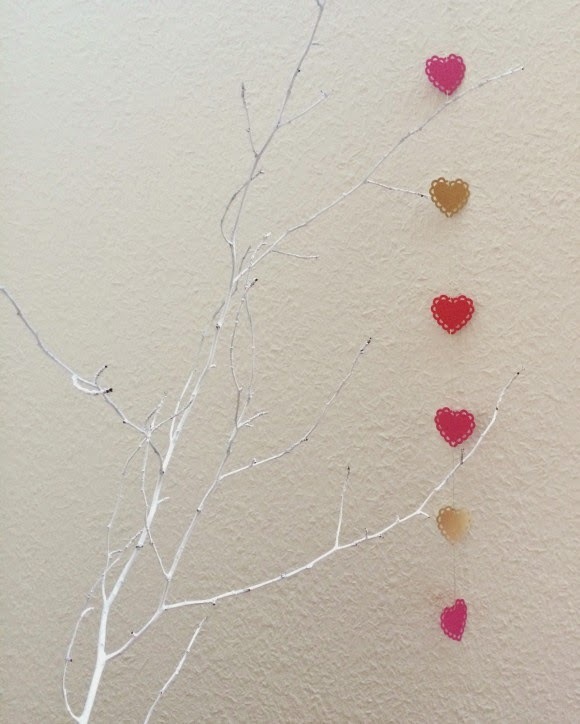 As mentioned earlier, I made these garlands as a backdrop for a Valentine's Day party table that I am currently creating. You can use your garland anywhere in the house - at any time. It would be great in your child's bedroom or playroom, as well as in your craft room or in your entrance. You could also use it in a gift wrapping... The sky is the limit! 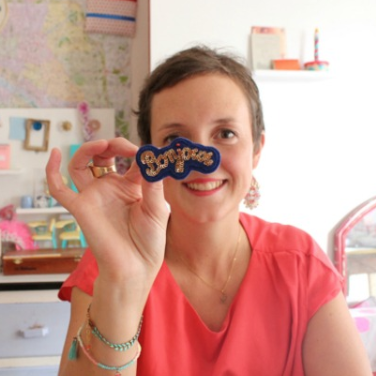 Feel free to share your crafts with me by leaving a link to your blog or photo in the comment section below, or tag me on Instagram @etincellestudio. 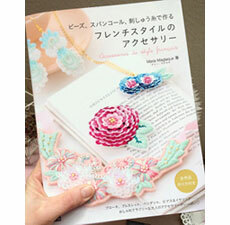 * WRAPPLE craft shop in Parco Shibuya has a nice range of Martha Stewart craft punchers. Check it out!